Finding the best police scanner can open the door to hours of entertainment or may allow you to serve more efficiently as a professional. 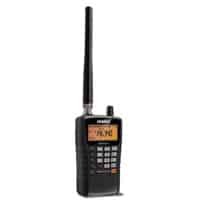 Most scanners are advanced radios that will allow you to pick up more than local police frequencies, which makes it easier to keep track of important activity happening around your neighborhood or in other locations as you travel. Selecting a police scanner is a personal issue because you want features that match your intended use. There are many high-quality scanners on the market right now, and this guide will give you the information needed to make an educated buying decision. We'll even recommend some of our favorites. 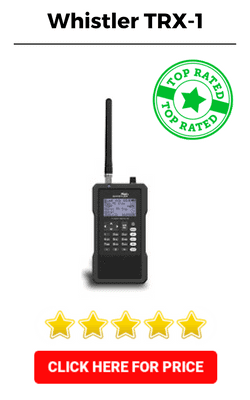 We completed informative reviews for some of our most highly recommended police scanners. This information may help you identify the best police scanner for your needs now and in the future. 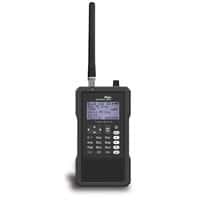 If you can invest more than $400 in your police scanner and are searching for a handheld device that allows you to scan analog and digital frequencies, check out the Whistler TRX-1. The radio has a modern boxy look that many people find appealing, and it comes with a micro-SD card that is pre-loaded with programming data for the U.S. and Canada. The Whistler TRX-1 is a digital phase I and II scanner that operates on a trunked system. This means that channels and talk groups are collected into trunks rather than being featured on individual frequencies. Each channel within a trunk is referred to as an object, and the scanner will process up to 1,800 objects at a time. 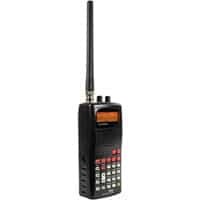 You can also pick up analog AM and FM channels, making this one of the more comprehensive portable police scanners available today. The downside is that you need to purchase software separately if you want to maximize programming. The Uniden HomePatrol II is one of the best police scanners if you don't need portability or would like the option of establishing a home base. The unit weighs just two pounds and gives you the option of setting it up anywhere in your home or connecting it into your vehicle for a portable base. 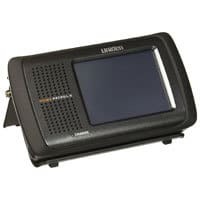 The Uniden HomePatro II is a phase I and II scanner that allows you to pick up digital frequencies as well as analog channels and transmissions from your local fire department, police station and other emergency agencies. It's also compatible with Motorola frequencies. This home police scanner comes with a short antenna that delivers reasonable range, but you may want to upgrade to one of higher quality. That may allow you to pick up police and fire frequencies for a larger area surrounding your home. The best feature on this home police scanner is the touch screen. You don't have to worry about hitting buttons to change channels or program in your favorite frequencies. The Uniden BCD436HP is one of the best handheld police scanners if you prefer some advanced features and have a reasonable budget to invest in a quality product. We appreciate that fully charged batteries can last up to eight hours and that it's equipped with location-based scanning to reduce the time spent manually searching for channels while traveling. The Uniden BCD436HP is a zip-code enabled system, so you can put in your current zip code and it becomes the center point around which your range expands. You can use the temporary avoid feature to lockout channels that you don't want to pick up. When you find channels that you listen to frequently, add them to your favorites list for fast tuning. You can also pick up weather alerts and fire tones with this handheld police scanner. This gives you functionality far beyond basic police channels. This portable unit proves that you don't have to spend a lot of money to own one of the best police scanners. The Whistler WS1010 weighs just under eight ounces and sells for less than $100 at full price, so it's easy to carry and affordable for most budgets. This is an excellent entry-level scanner if you will only use it occasionally or aren't sure that this will become a more serious hobby. Despite the low price, the radio comes with some convenient scanning features. For instance, the lockout function of the Whistler WS1010 allows you to skip some frequencies for faster scanning. The priority feature allows you to automatically recheck one specified channel every two seconds while still scanning other frequencies. Delayed scanning gives you the power to check for responses on each channel before you scan to the next one. This portable Uniden BC75XLT police scanner is one of the most affordable options to make our list, and it has earned its place. For less than $100 full price, you can walk away with a compact handheld scanner that comes with some convenient features. We were most impressed by the close call feature because it can save you some time. This allows the radio to automatically tune into nearby frequencies when they're detected. It will tune into activity close to your current location even if you don't have the connected frequency programmed into your radio. 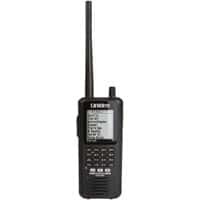 The Uniden BC75XLT police scanner also comes with some pre-programmed bands that help you connect with service frequencies quickly. 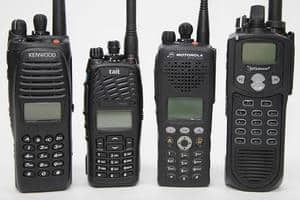 Consider these keys your shortcut to picking up police, fire and other frequencies connected to local first responders and service personnel. 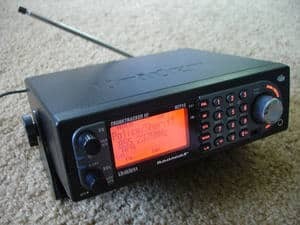 We admit that this radio doesn't have the most sophisticated appearance, but it is smaller than many portable scanners. If you're looking for something that is easy to hold or that you can take on the go without weighing you down, this is our top pick. How do you select the best police scanner for your needs? This is a personal decision that is determined by your location, the frequencies that you want to pick up and the way that you intend to use the scanner. Many police scanners will allow you to pick up much more than activity from your local police station, and many users appreciate the added functionality. This buying guide will deliver the information that you need to make a smart decision for your personal needs. Mobile – Mobile police scanners are inserted into your vehicle much like the radios that come standard in cars today. Handheld – Handheld units are easy to hold and can go anywhere that you go. Most will clip to your belt for easy transport. Base – These scanners are designed to sit on a table or rest in another stable location. Some are small enough to transport easily, but they're designed as home police scanners. Trunked and digital police scanners will be more expensive than analog police scanners. GPS – Built-in GPS systems allow you to send and receive exact location information. Location-Based Scanning – Your current location is used to scan local channels as you travel into new areas. This can save you time over manual programming. Record/Playback – Record live conversations so that you can play them again later. Fire Tone-Out – This feature picks up the tones sent out to notify fire departments of incoming emergency calls. You also want to consider the battery life and range of your scanner. Keep in mind that you can often upgrade the antenna to improve the range. It's difficult to pick just one winner from the five police scanners reviewed in this guide. The Uniden HomePatrol II is the clear winner if you want the option of establishing a home base or are looking for advanced features like the touch screen, but it's not what we would select as the overall best scanner. Our top pick for the best police scanner is the Whistler TRX-1. With all the features and the exceptional sound quality you can’t go wrong picking up one of these bad boys.